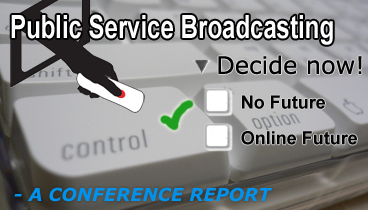 Online presence and audience participation will play an important part when public service broadcasters redefine themselves. Vox Publica documents a European media research seminar. The futu­re of pub­lic ser­vice broad­cas­ting in a radi­cal­ly chan­ging tech­no­lo­gical and regu­la­tory environ­ment was the issue addressed at a semi­nar held at the Uni­ver­sity of Ber­gen on April 26–27, 2007. Media rese­ar­chers from seve­r­al Euro­pean countries atten­ded. 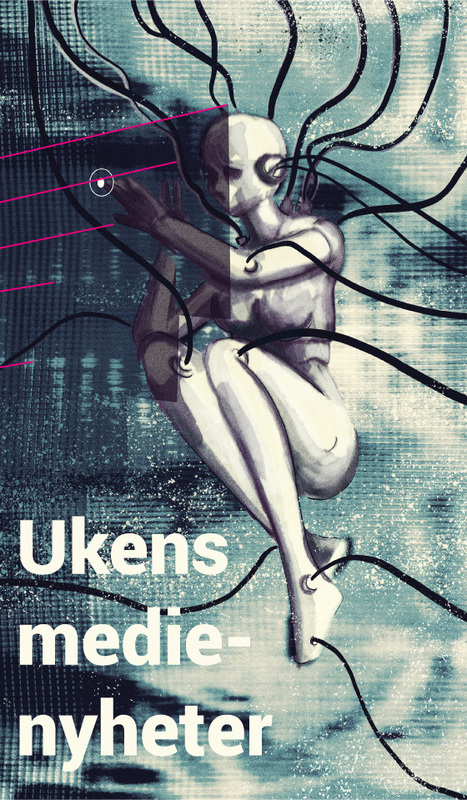 In coope­ra­tion with the orga­nizers – the rese­arch group for media-, ICT- and cul­tural poli­cy at the Depart­ment of Infor­ma­tion Scien­ce and Media Stu­dies, Uni­ver­sity of Ber­gen. Vox Pub­li­ca docu­ments the semi­nar on these web pages. The docu­men­ta­tion con­tains text sum­ma­ries of each lectu­re, sup­ple­men­ted in most cases by audio recor­dings and sli­de shows for down­loa­ding. Links to additio­nal online resources are inclu­ded as well. The lectu­res speak for them­sel­ves, but a few pre­li­mi­na­ry con­clu­sions can still be sug­ge­sted from the tal­ks. None of the rese­ar­chers fun­da­men­tally ques­tio­ned that pub­lic ser­vice broad­cas­ting has a role to play in today’s media socie­ty. A direct threat to its exist­en­ce does not seem to be on the rese­ar­chers’ radar. But most or even all of them con­ce­ded with vary­ing ent­hus­i­asm that the broad­cas­ters must rede­fine them­sel­ves in face of the changed media lands­cape brought about by the web and the emer­gen­ce of the acti­ve user. Hen­ce, par­ti­ci­pa­tion was a cen­tral topic touched on by seve­r­al of the rese­ar­chers, from dif­fe­rent per­s­pec­ti­ves. Gra­ham Mur­d­ock placed the mobi­liza­tion of the audien­ce as acti­ve par­ti­ci­pants at the heart of his pro­po­sal for a com­mons-based stra­te­gy for pub­lic ser­vice broad­cas­ters. Bri­an McNair discus­sed Tony Blair’s cen­tral role in sha­ping par­ti­ci­pa­tory for­mats in Bri­tish broad­cas­ting – espec­ial­ly on the com­mer­ci­al pub­lice ser­vice broad­cas­ter ITV. Furt­her, Geor­gi­na Born reported from recent rese­arch into the BBC’s expe­ri­en­ces with sub­stan­ti­al audien­ce par­ti­ci­pa­tion. And Espen Ytre­berg sup­ple­men­ted the discus­sion with results from a Nor­we­gi­an rese­arch pro­ject about the media industry’s – inclu­ding pub­lic ser­vice broad­cas­ters’ – stra­te­gic use of the new par­ti­ci­pa­ting audien­ces. This seems to be a cen­tral point: Can increased user par­ti­ci­pa­tion strengt­hen the legi­ti­macy of pub­lic ser­vice broad­cas­ting, or are users just being instru­men­ta­lized by media groups enga­ged in tough com­pe­tition? The ques­tion cau­sed some discus­sion at the semi­nar, and Bri­an McNair remar­ked that both answers are pos­sib­le – increased user par­ti­ci­pa­tion can be good for media as com­pa­nies and good for democracy at the same time. As the broad­cas­ters expand onto new media plat­forms to test such par­ti­ci­pa­tory forms, they face some tech­ni­cal and regu­la­tory pro­blems: those related to net neut­ra­li­ty may be of the most per­ti­nent. Tan­ja Storsul’s intro­duc­tion laid out the cur­rent situa­tion, and show­ed the dilem­mas for both broad­cas­ting insti­tu­tions and regu­la­tors. The following discus­sion centred on the poten­ti­al for poli­ti­cal inter­ven­tion: how much power does natio­nal cul­tural poli­cy have on this issue? And whe­re to start to work towards a rea­so­nab­le com­pro­mi­se? Anot­her pres­sing issue is the growing impor­tan­ce of the Euro­pean poli­cy level. As the power of the EU increa­ses, other insti­tu­tions deemed neces­sa­ry for a well-func­tioning democracy lag behind: as Bar­ba­ra Tho­mass under­lined, the pro­mi­se of Euro­pean pub­lic sphe­res may seem bleak. In her talk, Tho­mass out­lined a sugge­stion for thin­king about the exis­ting pub­lic ser­vice broad­cas­ting instu­tions as tools to impro­ve this democra­tic defi­cit. From the same star­ting point, Jackie Har­ri­son laid out a ratio­na­le for Euro­pe-wide pub­lic ser­vice com­mu­ni­ca­tions groun­d­ed in the EU’s soci­al pur­pose. Though expli­cit­ly nor­ma­ti­ve in form, such sugge­stions ser­ve to envi­sion alter­na­ti­ve ways for­ward for pub­lic ser­vice broad­cas­ting poli­cy. We hope that this docu­men­ta­tion will be a con­struc­ti­ve con­tri­bu­tion to the ongo­ing deba­te about the futu­re of Euro­pean pub­lic ser­vice broad­cas­ting. Inde­ed, the deba­te may con­ti­nue here – we encoura­ge com­ments and live­ly deba­te on this and all the other artic­les.